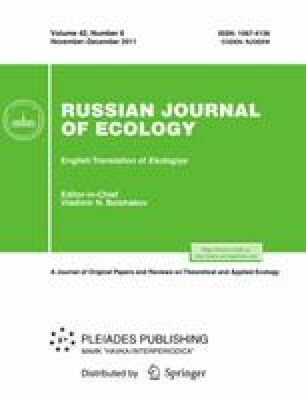 The structure of fouling communities formed by the sponge Halichondria panicea in the White Sea is described. On artificial substrates exposed in the sea for a long time, this sponge forms overgrowths on the colonies of long-lived organisms such as the mussel Mytilus edulis or the ascidian Styela rustica. The biomass of algae and sedentary animals (other than H. panicea) on the substrate is markedly smaller in areas colonized by this sponge than in neighboring sponge-free areas. Conversely, the biomass of both sedentary and errant polychaetes is greater in H. panicea colonies than in adjacent fouling communities. Halichondria panicea Mytilus edulis Styela rustica fouling communities structure the White Sea. Original Russian Text © V.V. Khalaman, A.Yu. Komendantov, 2011, published in Ekologiya, 2011, No. 6, pp. 449–458.